Thank you for participating in CRIJO's Donate program! 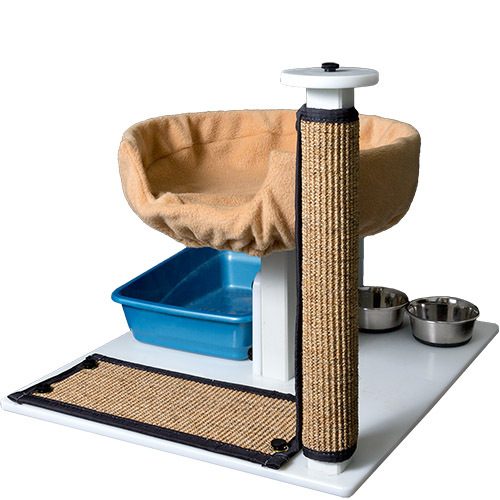 Kitty Crib Cage Insert with post and sisal mat (KC)–Kitty cribs provide an economical upgrade of living conditions for caged cats. Its platform creates additional floor space and an elevated position for resting, sleeping, and a favorable presentation to the public. 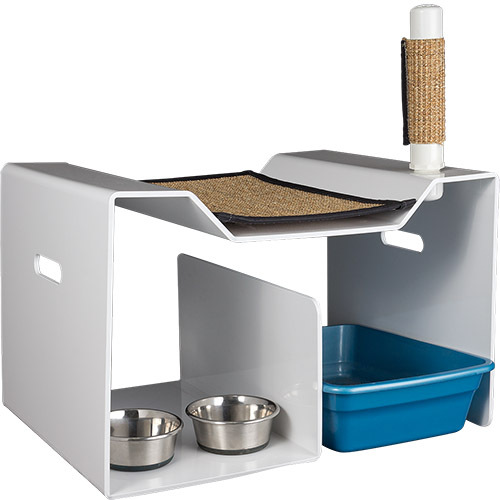 The floor-level divider separates food and water from the litter box and its opaque walls offer a sense of privacy without concealing the cat from potential adopters. 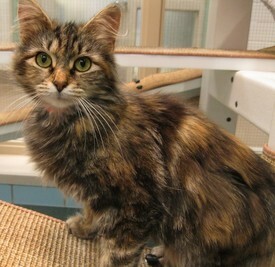 While CRIJO has not conducted scientific testing into health benefits, veterinarians from several shelters using Kitty Cribs have reported a reduction in upper respiratory infections and surgical site infections (after spaying or neutering). Tinted advanced material allowing privacy. Increases floor space and provides elevated comfort. Studio Living Cage Insert (SL). Designed for the large cages now available. It features a divider to separate the litter box and food station, offers vertical and horizontal sisal pads for scratching and an elevated bed. The bed's 4" curved walls provide a sense of privacy and spine support for the cat. Limited assembly required.